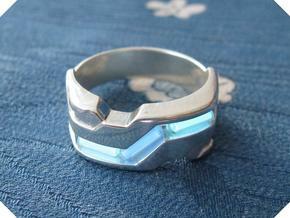 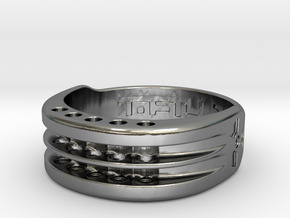 I present the Ring XXIII; designed to hold three 2x6mm tritium vials (not included) in the ring's front cavity. 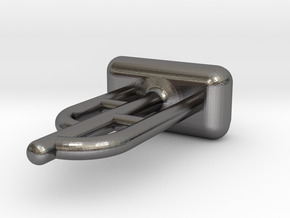 This model has been designed for printing primarily in stainless steel, but is also suitable for printing in: Silver, Brass, Bronze, Gold, or Platinum if you're feeling adventurous. 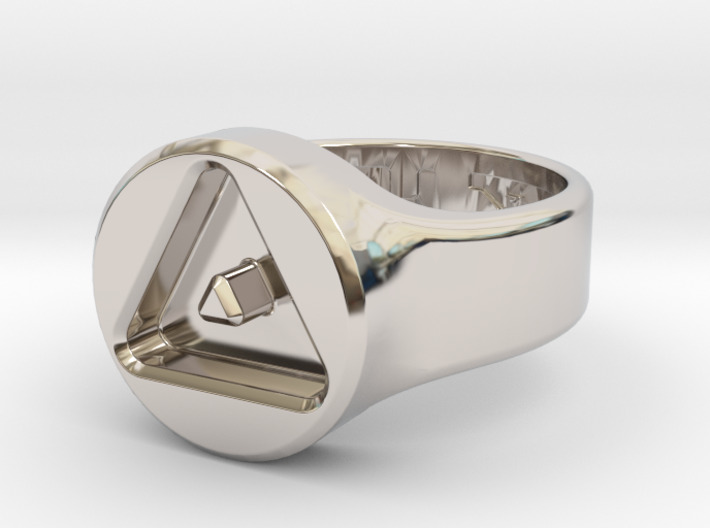 The sizing of this ring model is 18.1mm internal diameter, a UK Q (US 8). 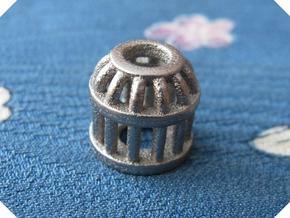 The design can be scaled up and down indefinitely.